Just imagine it. The project’s highest point is 8,116 feet (2,474 meters) above sea level. The lowest point is just 2,660 feet (811 meters). 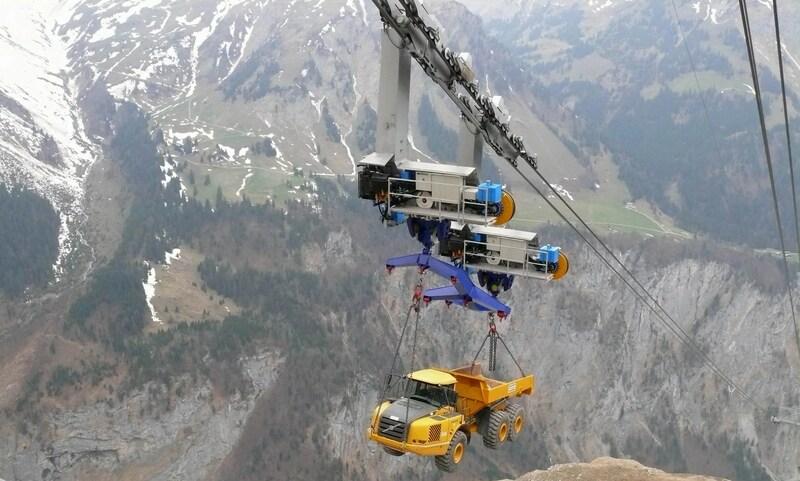 It must be incredible to see the trucks, tunneling machines, and excavators going up and down that Swiss mountainscape in one of the two ropeways that connect the sites. This video is in German, but you can see the massive scope of the project. 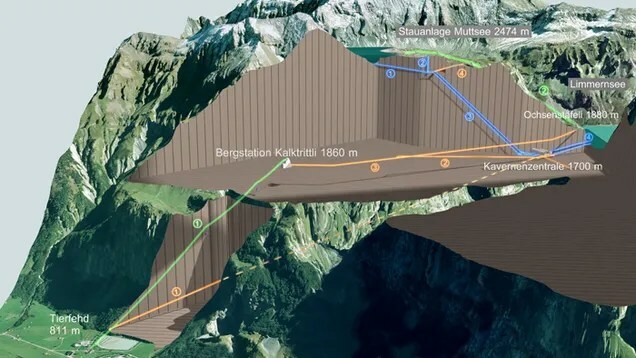 A new underground pumped-storage power plant will be used to pump water from Lake Limmern back up to Lake Mutt, which is 630 m higher. When needed, it can then be used to generate electricity again. The new facility will boast pump and turbine capacities of 1 000 MW each. This will boost the output of Kraftwerke Linth-Limmern AG (KLL) from the current 480 MW or so to 1 480 MW. In terms of performance, this will put it on a par with the Leibstadt nuclear power plant or the Cleuson Dixence hydroelectric power plant. This will serve to safeguard the future security of electricity supply for northeastern and central Switzerland. 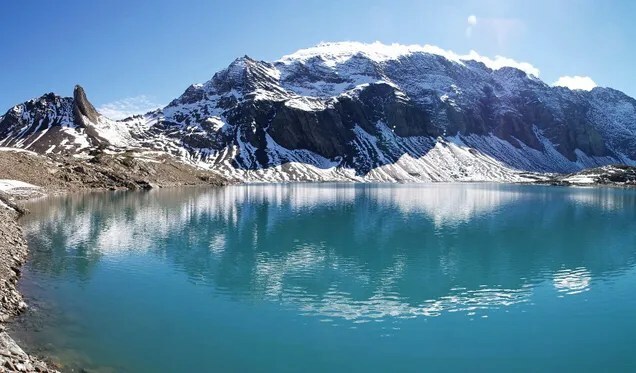 Lake Mutt, 8,024 feet (2,446 meters) above sea level. The tunnels are not apt for claustrophobic people.